DCI Morgan was looking forward to returning to his old career in his beloved hometown. 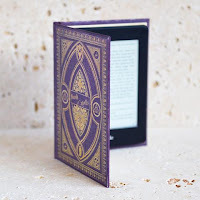 However, when he’s assigned to his first case, to question a young woman, Grace, who claims she has psychic abilities, he is more than a little sceptical! Grace claims to have seen the murder of a woman – Scarlett, the wife of a wealthy entrepreneur – six months ago. Her murder was supposedly solved, with the culprit in prison, and the case closed, but did it really happen the way the police were led to believe? As Grace embarks on a mission to discover the truth behind Scarlett’s death, she uncovers dark secrets, shocking revelations, and lies once buried which threaten to resurface. Think you've worked it out? Guess again! I love NC Marshall books; they really are fabulous little tales of the unexpected. Seeing Scarlett is a crime thriller with a hint of the supernatural that I easily read in one sitting. NC Marshall’s gripping and suspenseful writing draws you in immediately and even though I wasn’t massively surprised at the ending I enjoyed it immensely. Grace Stone works in a charity shop and one day a beautiful red coat catches her eye, but she gets the biggest shock when she tries it on: a vision of Scarlett Preston’s murder. Scarlett’s killer is already behind bars so why would Scarlett be reaching out to Grace from beyond the grave? This isn’t exactly the first case that DCI Tony Morgan expected to pick up when he returned to his native North East from Manchester. Despite their initial scepticism, Grace is so convincing that DCI Morgan and his colleague DI Taylor feel it is their duty to investigate...and I’m sure they’d hate to admit it, but I think they were a little intrigued. I often get a bit goosebumpy when I read about anything supernatural and Seeing Scarlett is no exception. I felt as if Scarlett could appear as a ghostly apparition at any moment and I worried that Grace was in danger, especially when things started happening to those close to her. Just like Grace, I had no idea of the danger she was really in. Grace can’t let go of the feeling that Scarlett is trying to tell her something and when she gets further visions she finds herself getting closer to the truth of what really happened to Scarlett…but someone is prepared to do anything to keep that secret well and truly buried. 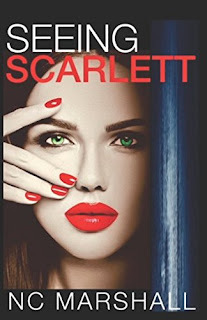 Gripping, twisty and completely riveting, Seeing Scarlett is a goosebumpy supernatural crime thriller that had me on the edge of my seat as I hurtled full speed towards the nail-biting conclusion. NC Marshall’s books are so addictive that once you read one, you will definitely want to read them all.